Jim Sinclair, founder and music director of Orchestra New England, and I fussed over several ideas for a proposed theatrical portrait. If memory serves we went through quite a list of composers before Gershwin surfaced. “Yes, he’s our man,” Jim offered up. I concurred, both of us thinking at that point of George, I am sure. 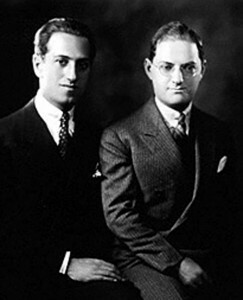 As I began to do the research, it was apparent that brother Ira need be the proper Gershwin to tell the tale. Why? Ira was the protective older sibling, the greatest admirer of his kid brother’s talents, an astute observer of all that occurred in their meteoric rise. With George’s tragic early death, Ira was left to carry on the Gershwin legacy, which he did with extraordinary energy and success for another three decades. Working with most every great stage and screen composer in those many long years after George’s demise, Ira earned his sobriquet “the jeweler” time and time again. The show deals with the work the brothers accomplished together to give both coherence and focus to the text and music. Oh, yes, and as a script writer, who would not be attracted to one of America’s greatest wordsmiths: a man who thought American, talked American, wrote American. ’S Wonderful! 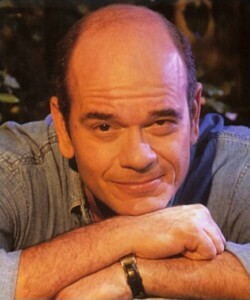 We found our Ira, a former Yalie, in Robert Picardo. There was a special something about Bob returning to his college roots to perform the show at Yale. Subsequently, I revised the work so that it can be done in chamber version. Bob has taken to it with alacrity.